I wanted to push my AUC metric higher and one topic I was particularly excited to tackle was User Personalization. One Signal has a lot of information of how each user interacts with their notifications, so why not leverage this? To accomplish this, I use Bayesian Learning. 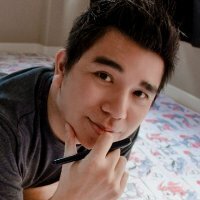 When a user downloads a new social app, I have no information about their activity. I start with the prior assuming they act like the average social app user does. 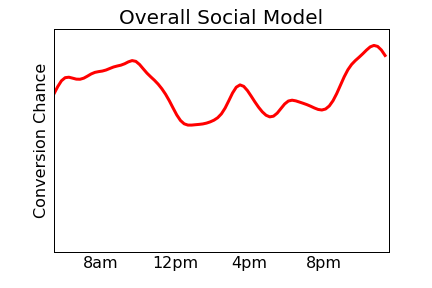 You can see that unlike the average user, this specific user is most likely to interact with their social app around 3pm. This is most likely since they are not a working adult, but instead a student getting out from school. 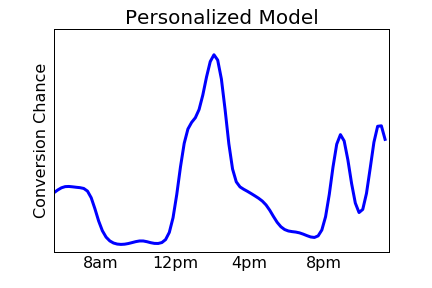 With this user personalization, model performance (AUC) is pushed from 0.76 to 0.86. We are currently working on including this model as a notification scheduling option on our platform. This scheduling option will use historical user behavior to send notifications to each user at their own best possible time. This is only one of the many ways in which OneSignal is working to improve the effectiveness of push notifications for our clients. Join us at GDC 2016!